A well-balanced, healthy vegetarian diet will provide enough nutrients for a pregnant Mother and her growing child. If it's good enough during pregnancy then it must be good enough at any time in our lives, right? I ordered this halloumi burger in the summer this year while out at a pub garden. Being vegetarian isn't restrictive or unsocial at all? And no, I never ate the onion rings! I say 'war' as many people find it an uphill battle both mentally and physically to give up meat and even to simply cut it down. This is the case whether something inside is telling them to do so, or they're forced to reduce meat due to health reasons? Let's be honest, the picture below does not tantilise the taste buds at all really does it? For me, if something is off-putting in its raw state then that is saying something quite fundamental to me. Any true meat-eater in the wild, like a lion, would salivate at the site of this because he is designed to eat meat?! Over-consumption of meat and meat products are a significant contributing factor towards heart disease and possible early death?! Starting to eat a healthy vegetarian diet is in my opinion a very positive first step to living a healthier, more spiritually aware way of life. Some of the most spiritually enlightened people around are vegetarians. The Buddhist tradition is against any form of killing which includes all animals of course, although there are even variations of this belief among different Buddhist sects. Tibet for example, the home of all previous Dalai Lamas, is not an easy place to live and growing vegetables there is not easy too, so to survive one must do what one must do. Even Dalai Lamas have apparently been known to eat meat despite them advocating and promoting the 'vegetarian diet'. I am a vegetarian and have been for a long time, but if you picked me up and dropped me in the arctic to live with the Eskimos it would be almost impossible to remain vegetarian. You need the fat and calories to keep warm and stay alive in such a climate, as well as the fact that there isn't much else to eat in such a place other than fish and animals. This is not the case for most of us though so starting a vegetarian diet is a much more doable task. I say 'task' as starting a vegetarian diet for many is still not an easy thing to do from an emotional perspective. Giving up something we've been accustomed to for so very long can almost be a little bit scary. However, the simple fact remains that starting a vegetarian diet today has never been easier. There are so many vegetarian options available for you today that eating meat can easily become a thing of the past. When I was in my early twenties and had not long been vegetarian, I was cooked a meal by a lady I was with at the time. After taking a mouthful of the pie on the plate I spat it out and insisted it was meat. The lady assured me it was not but I demanded to see the box it came from. Sure enough it was a Linda McCartney mince beef pie. I was amazed as well as apologetic of course. That was nearly thirty years ago. There are so many more vegetarian foods available today that it's even easier and more tasty to become a vegetarian. Being vegetarian is a great thing I believe, and possibly one of the most physically and spiritually uplifting things you can do in this life. It will not only benefit you, but also the animals, which I believe, along with countless millions of other humans, aren't actually here for us to kill and eat. We must try to exercise more compassion to everything that lives and which is a part of nature which for many is the definition of 'God'. 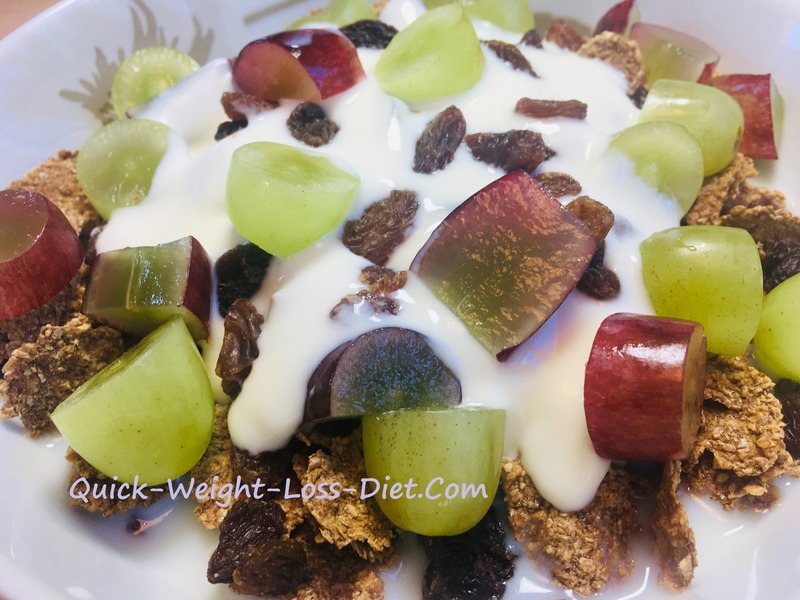 As I have said many times before, eating as cleanly as possible before starting any type of quick weight loss diet is a much safer way to start to cleanse the system and lose weight. To understand why please read about detoxification. Eating the flesh of a dead animal is in my opinion not the cleanest of diets. Please also take a look at the vegetarian facts for more supportive information to why I think we should not eat animals. A well-planned vegetarian diet can be the healthiest diet for human consumption despite it sometimes getting bad press and being accused of lacking nutrients and protein? Of course a vegetarian diet can also be very unhealthy as there's a lot of vegetarian junk food about as well as the good stuff so beware! It's down to you and you alone to sort the good from the bad which is pretty obvious really I think. I have lived on a vegetarian diet for over twenty five years and can honestly say that I know I am healthier inside as a result. How do I know this? You only have to try to clean the baking tray that was used to cook meat to know that it would have probably been better not to have eaten it in the first place. If it's hard to get off with a scouring pad, how hard do you think it is for the body to break down? How could I not be healthier! This alone tells me that not eating meat benefits my health. In addition to this is the simple fact that although I am not that young at 53 years old, I can play and run with my children in a lot of different activities including; swimming, squash, cricket, tennis, table tennis, and badminton, and quite energetically I would say. I am still very agile and fit which I put down to the fact that I eat a healthy, balanced, vegetarian diet. My diet is not deficient in any way! Both of my kids were veggie but my daughter age 15 finds it a little hard when she's with her friends so she eats chicken and fish sometimes. My son is 18 and will not eat meat, plain and simple. I can't keep up with them and their activities so they most certainly are not deficient in any way, especially my son who plays tennis, table tennis, squash, cricket and likes swimming too, and he's the one that refuses to even think about eating any type of meat or meat product whatsoever?! A vegetarian diet can help reduce the risk of heart disease as well as help you to lose weight. So, a balanced, healthy vegetarian diet can not only help you to get healthy and slim, but it may also help you to live longer? It's a well-known fact that red meat in particular is a significant contributing factor to heart disease, and, heart disease is the biggest killer of the human race according to The World Health Organization (WHO). They say, and I quote "Ischaemic heart disease and stroke are the world's biggest killers, accounting for a combined 15.2 million deaths in 2016. These diseases have remained the leading causes of death globally in the last 15 years" - un-quote. Of the two diseases (heart disease and stroke), coronary heart disease remains top of the list. Take a look for yourself at this link - WHO top ten causes of death. Ischaemic heart disease and coronary heart disease are the same thing. According to the UK NHS, quote "Coronary heart disease is the term that describes what happens when your heart's blood supply is blocked or interrupted by a build-up of 'fatty substances' in the coronary arteries"-un-quote. Over time, the walls of your arteries can become furred up with fatty deposits. This process is known as atherosclerosis and the fatty deposits are called atheroma". The UK NHS then goes on to mention that one way to reduce the potential risks of developing heart disease is to eat a healthy, balanced diet. They then go on to say that reducing your saturated fat content is the way to do this and they offer a short list of what to avoid. This is not just appropriate for the UK, it's the same picture for the US and most of the Western world too! From what I have researched, my understanding is that red meat in particular is the biggest contributing factor to heart disease which is the biggest killer of the human race in the Western world. Surely then, if we cut this out of our diet, or at least significantly reduce it, then we will undoubtedly be cutting out the main offender to us contracting and suffering from heart disease which must surely give us a better chance of having a healthy life and existence? In a nutshell, is the simple fact that a healthy, balanced, low-fat vegetarian diet is very low in saturated fats and salt, and the risk of heart disease is greatly reduced. Start a vegetarian diet right away and your heart and arteries will start to benefit almost immediately! If you're still not convinced that a vegetarian diet is for you, or maybe you need a little more evidence to convince you that it's not going to leave you deficient in some way, then please continue to read on, and also please take a look at the vegetarian facts to draw some basic principles to your attention. If you're serious about starting a vegetarian diet then I take my hat off to you. It might not be the easiest thing to do if you've been eating meat all of your life, but in my opinion it's one of the best things you can do for your arteries and the animals. Without seeming to state the obvious, to become a vegetarian you have to want to be a vegetarian. It has to be a natural process that comes from within. Like most things, it's a gradual journey that you refine along the way. After a while it becomes second nature. It's something that I never think about other than at times like now while writing about it. If this website does nothing more than to encourage just one person to become a vegetarian for life then I have succeeded. I love all animals and if I can help people to possibly consider not eating them and benefit YOU at the same time, I would have achieved something in this life that I think is a very good thing. Animals really do not have a choice, but we do, don't we? Anything that doesn't contain meat or meat products, which is a whole lot of stuff! There are lots of different types of vegetarian food products and manufacturers available and the vegetarian menus that follow utilise a variety of different sources. Also, some vegetarians say you should not eat any animal produce whatsoever. While I do not disagree with this, I also recognise that it's a tight and narrow road for many and that way is bordering upon a vegan diet where no dairy is consumed whatsoever. With that in mind, this page is dedicated to a vegetarian diet and the daily menus further down therefore focus on the non-consumption of meat and any products that come from meat derivatives. This does not include animal products such as eggs and dairy which are included on a vegetarian diet. The general advice on diet from the powers that be tends to encourage foods that are low in saturated fat and high in whole grains, fresh fruit and vegetables. By now I think it’s fair to say that most of us are well-aware of the advice to eat 5-a-day of fruit and vegetables. A well-balanced vegetarian diet should easily meet these guidelines as well as meeting the advice to consume high fibre foods through whole grains, pulses, vegetables, nuts and seeds. 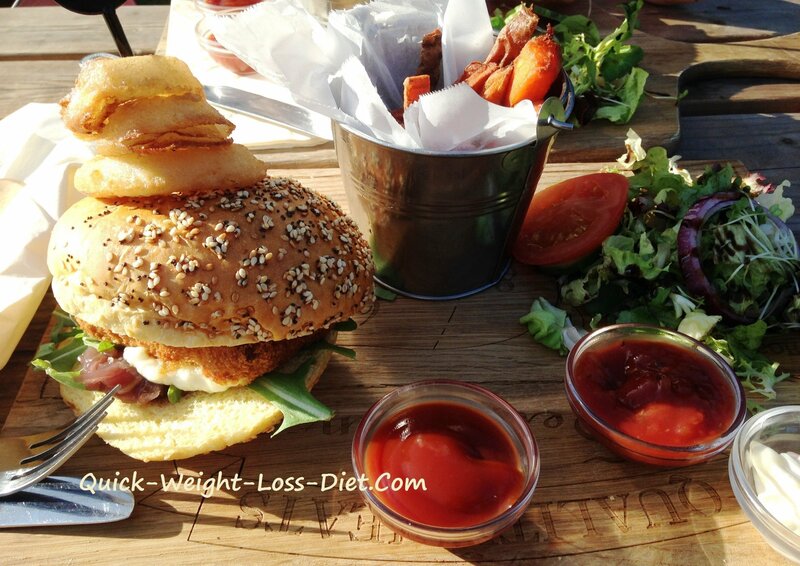 A well-thought out and balanced vegetarian diet will also be low in saturated fat. This is another recommendation to aid our health and it's great for weight loss too! This shortlist offers a rough outline of the foods consumed on a vegetarian diet; Scroll down for more detail on each. 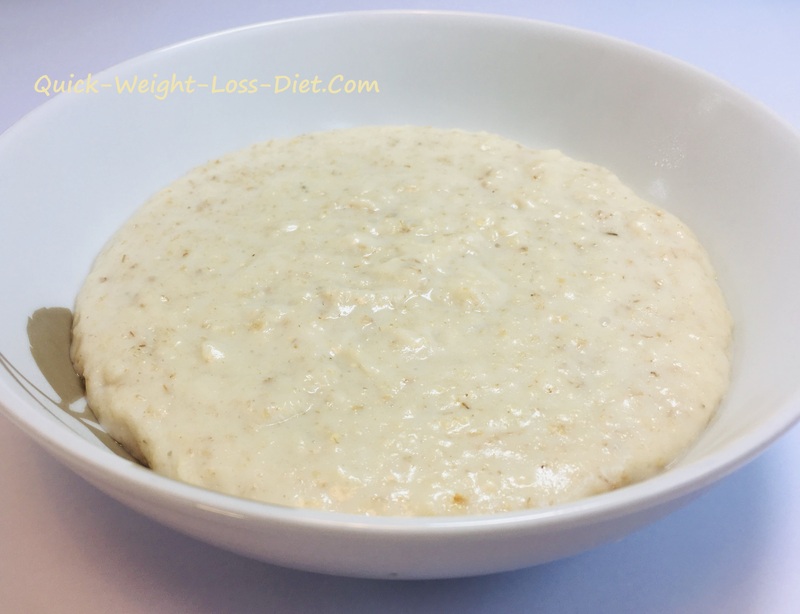 Whole-grains like oats, brown rice, coucous, millet, barley etc. 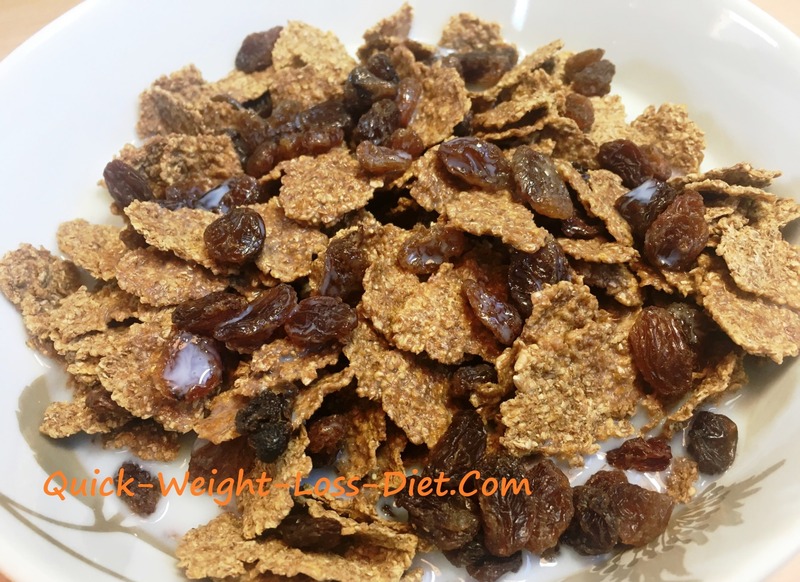 Dried fruit - figs, sultanas, raisins, un-sulphured apricots etc. Iron-rich greens - spinach, kale, chard, beet greens, watercress, broccoli and spring greens etc. What about Deficiencies on the Vegetarian Diet? For many, being a vegetarian may cause concern that not eating meat will leave them deficient in some way of the nutrients found in meat such as; iron, calcium, zinc, vitamin B group especially vitamin B12 as well as vitamin D, essential fats (‘omegas’) and of course that main source of controversy surrounding the vegetarian diet, protein! The simple truth of the matter is, a well planned and balanced vegetarian diet will consist of foods that contain all these nutrients in plentiful amounts. A healthy, balanced, vegetarian diet will contain plenty of fruit, vegetables, rice, pasta, potatoes (sweet and regular potatoes), and some dairy sources of protein such as eggs and cottage cheese, also plenty of pulses such as lentils, butter beans, kidney beans and chick peas as well a small amount of fatty and sugary foods as well as nuts, seeds and dried fruit if you wish. Also included are other forms of protein such as tofu and soya protein in the form of Quorn for example. Please take a look at the information on foods with protein for a bit more clarity on this sometimes very controversial subject. Eating a well-balanced and varied vegetarian diet will most certainly not leave you deficient. Eating legumes such as lentils and beans doesn't have to be boring as there are a lot of interesting vegetarian options out there today for the meat-free diet! Getting the right balance of foods for your vegetarian diet plan is important but not absolutely crucial for every single meal. It's more important to get it balanced over the course of a few days to a week and so on. 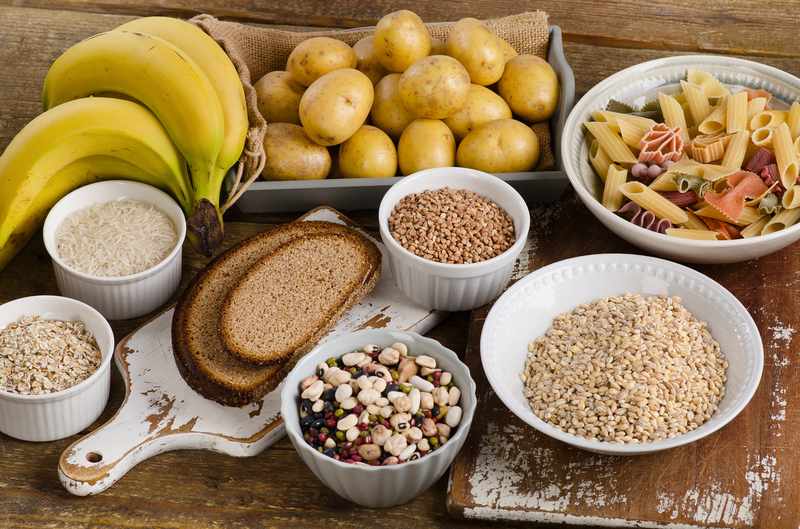 In general, complex carbohydrates such as potatoes, bread, cereals, rice and pasta should make up about one third of the food you eat. Fruits and vegetables should also make up about a third of your diet. The other third of your diet should consist of roughly half and half of; a/ milk and dairy products, and b/ eggs, pulses, nuts, seeds and mycoprotein/wheat proteins, such as those already mentioned like tofu and Quorn. Below is a rough guide of what percentage of foods to eat on a vegetarian diet. These are all discussed in more detail further down. Fatty and sugary foods such as biscuits etc. = 3-5%. It's also best to always try to choose foods that are low in fat, salt and sugar whenever possible. Always read the labels on foods that you buy and start to educate yourself about foods and what they contain. 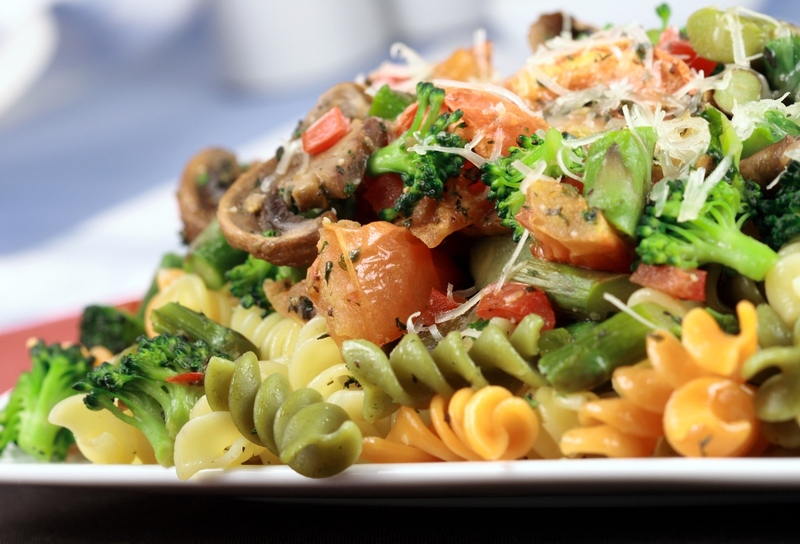 Starchy foods such as potatoes, bread, cereals, rice and pasta should make up about a third of your vegetarian diet. Always try to eat wholegrain varieties such as; whole wheat pasta, whole wheat bread and brown rice whenever you can. They contain far more fibre and nutrients than the white versions of the same foods. The healthier wholegrain varieties also release more slowly into the system which gives you a more consistent release of sustainable energy. The bananas in the picture above are classed as 'simple carbohydrates' like all fruits are as they're digested and released into the system much quicker than complex carbs. Complex carbohydrates are digested and released far slower into the blood stream than simple carbs and supply the body with 'slow-release' energy in the form of 'glucose' which is a type of sugar that the body produces from both simple and complex carbohydrates. 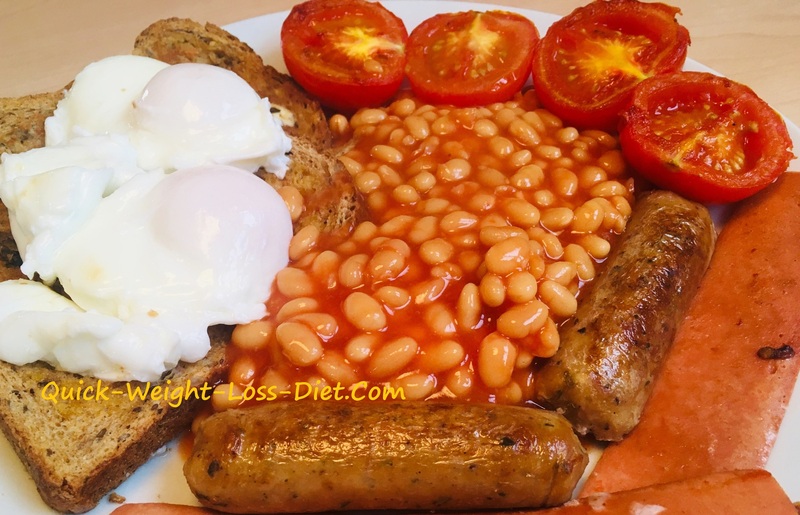 The mixed beans at the front of the image above also contain a certain amount of carbohydrate content. They're not classed as carbs though, rather as legumes or pulses, they just found their way into this image, impostors! You should eat some starchy foods every day as part of a vegetarian diet as they provide a good source of energy and are the main source of a variety of nutrients in our diet. As well as starch, they contain fibre, calcium, iron and valuable B vitamins. As already mentioned, try to eat around five portions of fruit and/or vegetables a day. One portion is roughly about one handful. Fruit and vegetables can be in the form of fresh, frozen, canned, dried or even juiced. Fruit and vegetables provide plenty of fibre. Fibre is so important to the digestive process, as it helps to reduce the possibility of constipation by keeping the bowels regular. 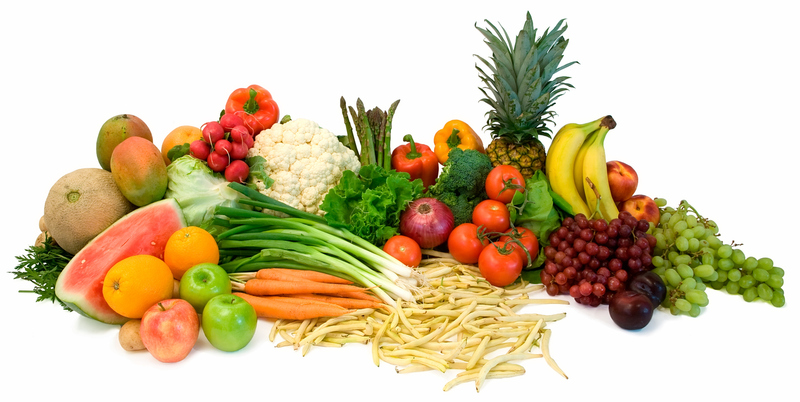 A good supply of a variety of fruit and vegetables will contain plenty of vitamins and minerals too. Try to eat different colours of fruit and veg as this will give you a good supply of antioxidants. Milk and dairy products such as cheese and yoghurt, are good sources of protein, calcium, vitamin A and the all-important, but somewhat illusive, vitamin B12 This food group of your vegetarian diet plan also includes milk and dairy alternatives such as fortified soya, rice and oat drinks, which also contain these nutrients. Try to think healthy as much as you can. Go for lower-fat milk and dairy foods. Fully skimmed milk is the best choice as it has almost no saturated fats at all but all the goodness of semi-skimmed or full-fat. 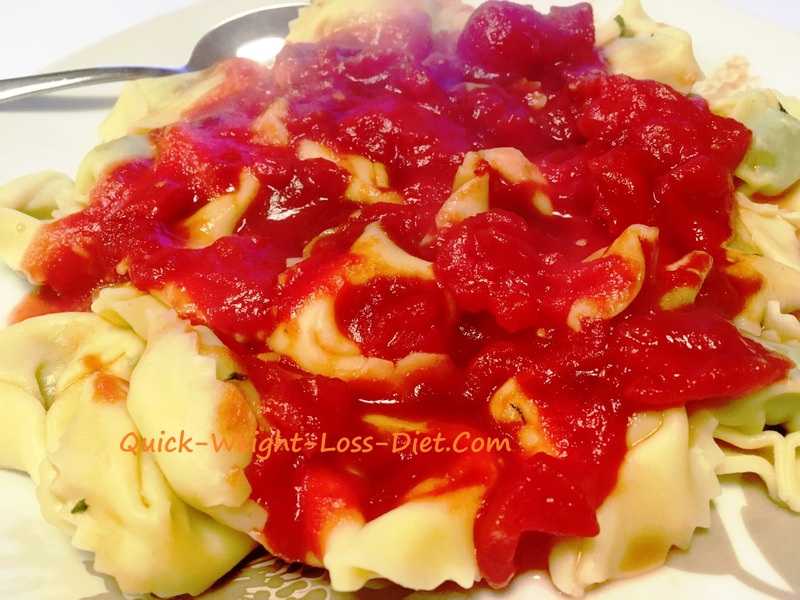 This makes it great for weight loss and far easier to digest too. 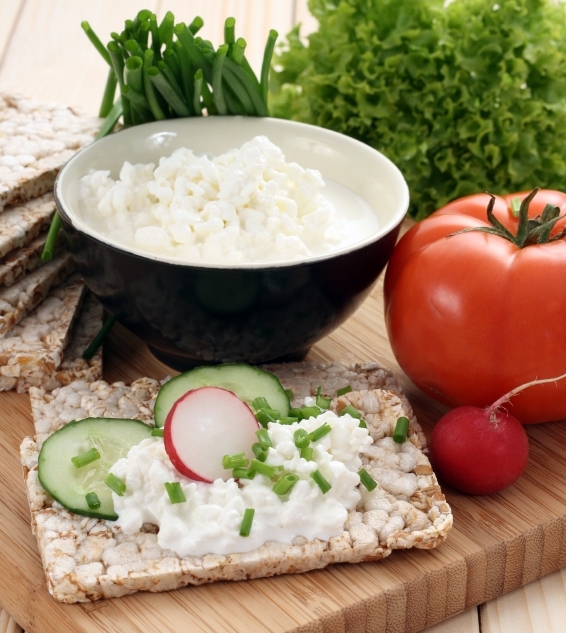 Cottage cheese is a good source of protein, calcium and vitamin B12 and in my opinion is far better for you than the harder cheeses that many people love to eat. I can't emphasize enough about cutting out hard cheeses from your diet if you can. I personally believe that cottage cheese is far easier to digest than hard cheese for obvious reasons. It has to be as it's far lighter and loose in its make-up? I truly believe it's far better for you to eat low-fat vegetarian cottage cheese instead of the harder to digest, full-fat hard cheeses. Even low-fat hard cheeses are obviously harder for the body to break down and digest due to their make-up. 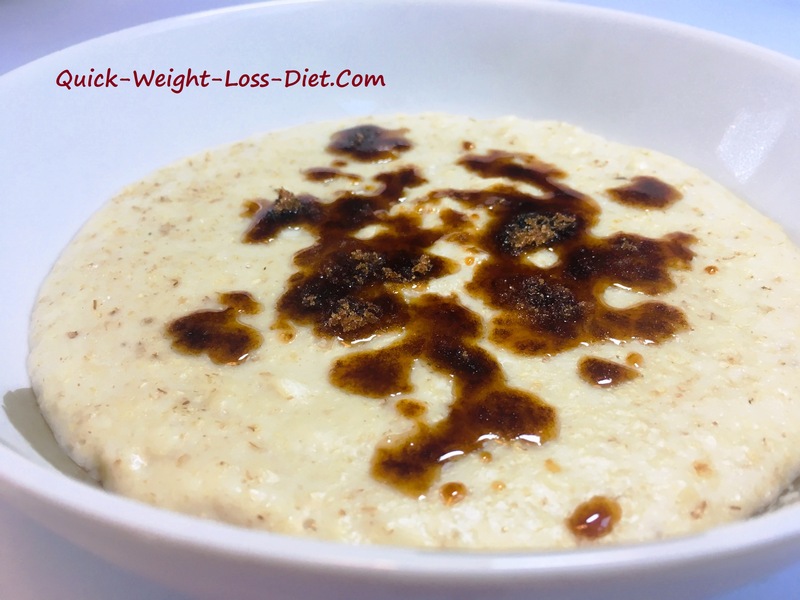 Light cottage cheese is far easier on your stomach and whole digestive system. If you really can't do without hard cheese then be certain it's vegetarian by checking the label and do make it low fat as much as you can. As for many other foods as mentioned before, in the UK the symbol is a little green 'V' or similar somewhere on the back of the package. Generally speaking, milk on its own is an animal product that can be taken from an animal without any harm being done to the animal that is being milked. However, if you’re serious about starting a vegetarian diet of any kind, and I presume you are, you need to be aware that non-vegetarian cheese has another aspect of its manufacturing process that is harmful to the animal in question. Many traditional cheeses are made with animal rennet. Rennet is an enzyme that is taken from the stomachs of calves, lambs or goats before they consume anything other than milk. The rennet that’s used in non-vegetarian cheeses and other products such as some protein powders etc. are all taken from calves. Rennet is used as a coagulant to turn milk into cheese. To take the rennet from the stomach of an animal such as a calf for example, first requires the animal to be killed. Needless to say, that if your reason for starting a vegetarian diet plan is specifically for ethical reasons, you must be certain that the cheese you buy does not contain animal rennet. Even if you’re considering the vegetarian life for health reasons alone, it’s still wise, I think, to eat low-fat vegetarian cheese. I think this reduces any negative effects that regular hard cheeses may have on your body. Without seeming to be repetitive, the label on the packaging will of course make this clearer by saying “suitable for vegetarians” or there will be a little green 'V' or similar somewhere on the back of the package at least in the UK. If you’re buying from a delicatessen type of place, where the cheese is cut and wrapped to your requirements and the person behind the counter is not absolutely certain whether or not the cheese was made with or without animal rennet, then DO NOT BUY IT! It's better to be safe than sorry. ﻿The above list is not in any way entirely comprehensive, but it does at least give you some idea of the most popular and common cheeses that are served and eaten. This in turn will hopefully give you some idea of the potential risks of eating rennet that has been taken from the stomachs of slaughtered animals? If you’re familiar with, and like to eat some or many of the cheeses listed above, then I think it might be possible to find some vegetarian versions that are made with vegetable or microbial-based rennet. Just search the internet through Google and I’m almost certain that you’ll more than likely find something. Don't hold me to it though as I hardly ever eat hard cheese, but if I do it's from the supermarket and certified as vegetarian. Halloumi is great for a vegetarian diet as it's free form renet. It's quite popular in many food places I've visited as a vegetarian option for a burger. It's a soft/firm cheese that's similar in texture to tofu that can also be grilled like tofu too. Although I personally find it a little salty and also a little rubbery, it does make a change if I'm out having a meal for an occasion with family or friends. Halloumi is said to be traditionally prepared from a mixture of goat's and sheep's milk and apparently originated in Cyprus. Eggs are packed with protein & nutrients! Some see eggs as 'dairy' but I see them as animal products or by-products. Eggs are an important source of protein for many, particularly on a vegetarian diet, but they're not essential. They do however also contain many other vitamins and minerals which are beneficial to our body such as; sodium, potassium, phosphorous, iron, zinc, sulphur, retinal, niacin, pantothenic acid (vitaminb5), biotin, folic acid, vitamin d, vitamin e, and vitamin b12 too! Wow, eggs really are compact nutritional meal. In my opinion, eggs are really best scrambled or poached as frying hardens the protein which makes it harder to digest. For many, too many eggs can also cause constipation which is commonly known as being 'egg bound'. And the once publicised fact that they contain high levels of cholesterol which is bad for you is not quite the case now as there are conflicting views on this subject. Egg yolks contain lecithin which contains choline. Choline helps to digest fats and move wastes and nutrients in and out of cells. This appears to be nature’s way of counteracting the high-cholesterol levels found in the yolks of these little high-nutrient packages. Eggs are generally seen as being very good for us but I rarely eat them as I find they can make me somewhat phlegmy, meaning eggs, and all dairy products in fact, have a very phlegm producing effect on me personally. If they make you have more phlegm and mucus like they do me, then my advice is to reduce them and even cut them out completely along with other dairy products such as full-fat and even semi-skimmed milk and cheeses. 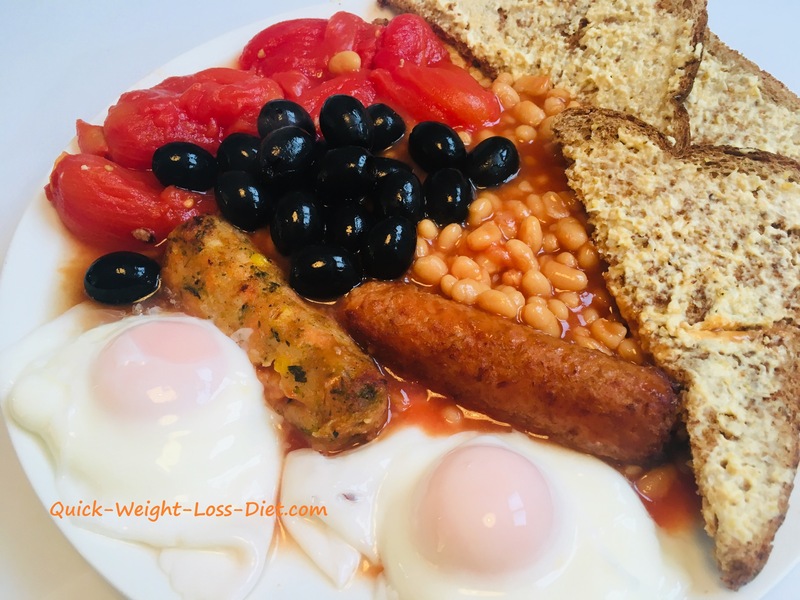 Don't worry about getting enough protein if you cut eggs out completely though, providing you're eating pulses as discussed in the next section as they also contain plenty of protein along with vegetables too in fact. 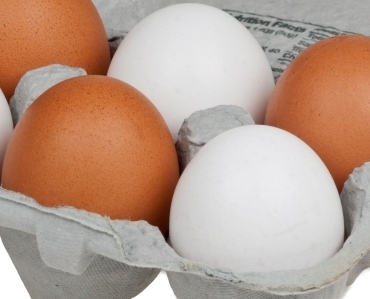 There is no ideal number of eggs that should or shouldn't be eaten per week. Having said that, my personal suggestion is to eat no more than 1-3 eggs per day on average whatever type of diet you are currently eating, and, providing you have little phlegm. If you do suffer from catarrh and phlegm then my advice, as I have touched upon already, is to cut down and even cut out all dairy produce after which you will experience less phlegm and catarrh symptoms! If you do eat eggs then remember to always eat only free range eggs too as they're much better for you and the chickens! 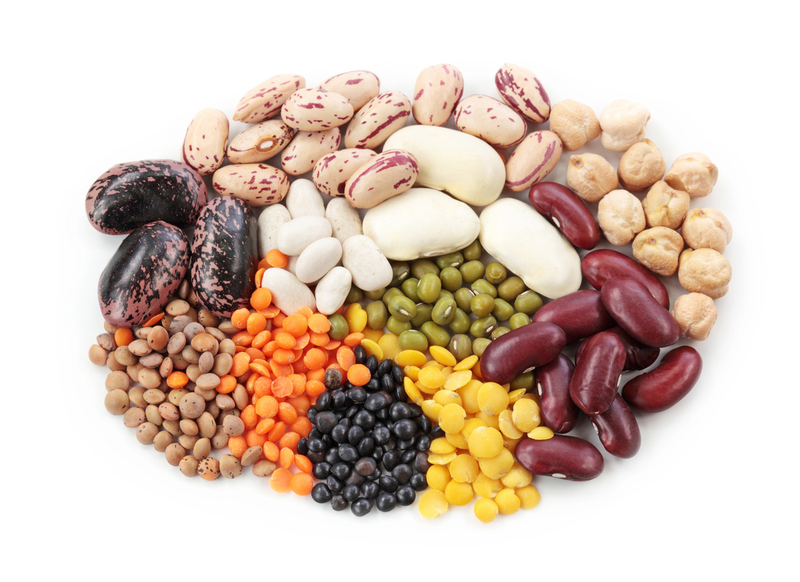 Eating a variety of pulses will help you to get all the amino acids your body needs. Pulses are another important source of protein for a vegetarian diet. Haricot beans, lentils, chick peas, kidney beans and butter beans etc. can all be cooked from their hard, dry, raw state or you can take the easier option to buy them already cooked in tins? When I first started eating macrobiotic food in my twenties I used to boil it all up. If I'm totally honest I don't do this as much nowadays, if at all. It's often too time consuming despite it being more economical. You can get a lot of lentils or beans for your money if you buy in bulk from specific stores such as Regal Foods in the US or Buy Whole Foods Online in the UK. Have a look online for your country or try to find a local store in your area that sells big bags of rice and pulses at reduced prices. Alternatively, you can buy them in tins which is much quicker but a bit more costly, the choice is yours. 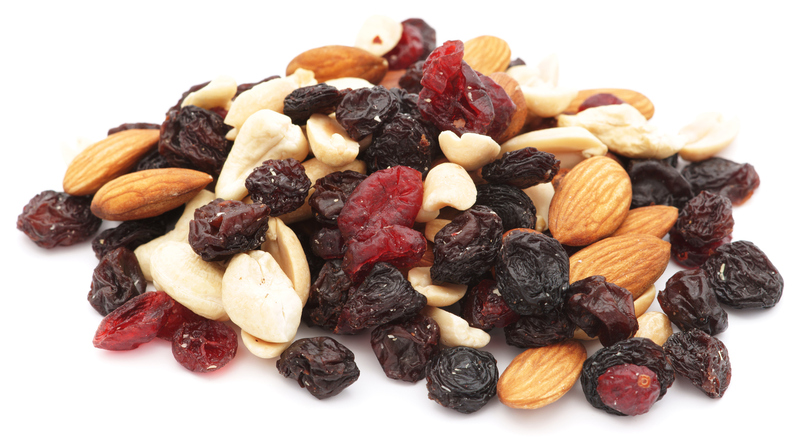 Dried fruit and nuts make a great healthy snack! Nuts and seeds are a great, 'quick snack' source of protein, fibre, fats and other various nutrients. There are many to choose from so take your pick but be aware that nuts can be a little fattening if you eat a lot and you're watching your waistline. It's been said that chewing nuts with dried fruits such as figs, raisins or sultanas helps the digestive process as the sugars in the dried fruits help to break down and digest the fats. 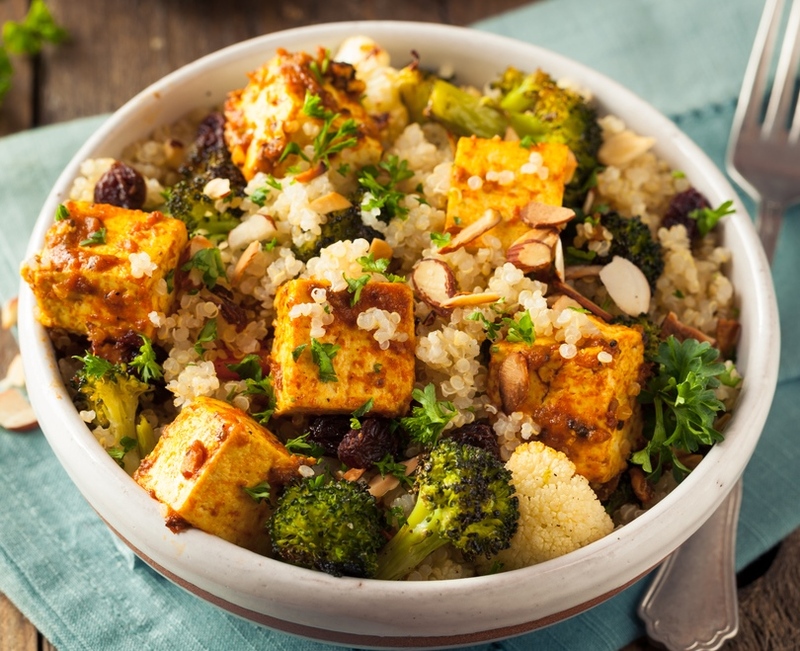 Tofu, Quorn and Tempeh are other non-dairy sources of protein that offer the vegetarian diet plenty of additional variety from both a nutritional and also an emotional point of view. The emotional aspect of a change of diet is important as many believe that starting a vegetarian diet and sticking with it is hard because it's boring. This is not the case with so many different types of vegetarian meat-free foods available today. In the sixties all that was available for the would-be veggie were lentils and nut/seed bakes etc. How lucky we are to be vegetarians in today's society! Basically speaking, amino acids are the building blocks of protein and play an important role in the development, maintenance and repair of the body. If you're eating a vegetarian diet that has little or no dairy produce and/or eggs, then it's important to eat a variety of different sources of protein to get the right mixture of essential amino acids over the course of a few days or more. This is because not all foods contain the full range of 'required amino acids' known as 'essential amino acids' so eating a variety of protein containing foods while on the vegetarian diet helps to bridge this gap to ensure you're getting all the necessary amino acids your body needs. If you're eating eggs and dairy produce like milk and cheese though then you'll be getting a full-range of essential amino acids anyway so it's fine. Remember, if you're watching your waistline then fully skimmed milk is the way to go. It contains roughly the same nutrient levels as semi-skimmed and full-fat milk without the unnecessary fat required for baby cows?! For more information on the different types of amino acids and what types of foods contain them please take a look at foods with protein. If you don't think you're getting enough protein in your vegetarian diet or if you're a little concerned about the whole thing surrounding protein and the vegetarian way of living, then you can supplement your diet with vegetarian protein powder. Once upon a time, in the 'good ol' days', protein powder was traditionally derived from milk and eggs. Men in general and body builders of old used to eat eggs, milk and beef to get their daily protein. As a result, off-the-shelf protein powders made from milk and eggs were born and dominated the protein supplement market. Nowadays, although those milk and egg protein powders can still be purchased in some stores, they've been largely replaced by the high-tech protein powders like 'whey'. The trouble is, whey is an animal product and most definitively not suitable for a vegetarian diet. 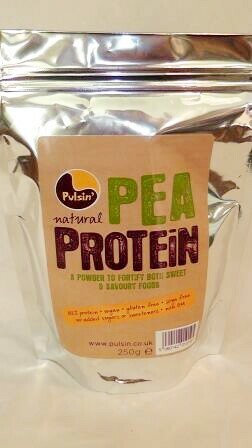 Fortunately, during my weight training and hard physical exercise routines of previous years, I managed to come across a great vegetarian pea protein powder made by a company in the UK called Pulsin. This can be added to soups, casseroles, and drinks or sprinkled over whatever you like. There are likely to be other manufacturers of pea protein powders or similar in your country so why not 'Google it' and have a look?! Incidentally, this pea protein powder only goes to show that there is indeed protein in vegetables, in this case peas?! Fatty and Sugary Foods - Junk? These include; full-fat spreads, full-fat milk, cream, crisps (chips), biscuits (cookies), most pastries such as cakes and puddings etc. ), sweets (candy), chocolate, ice-cream and fizzy drinks. I rarely, if ever, eat any of these foods myself and would suggest that you too should only consider eating a small amount of these foods if at all. These foods mainly provide energy in the form of fats and sugars but generally tend to provide very little else in the form of nutrients. 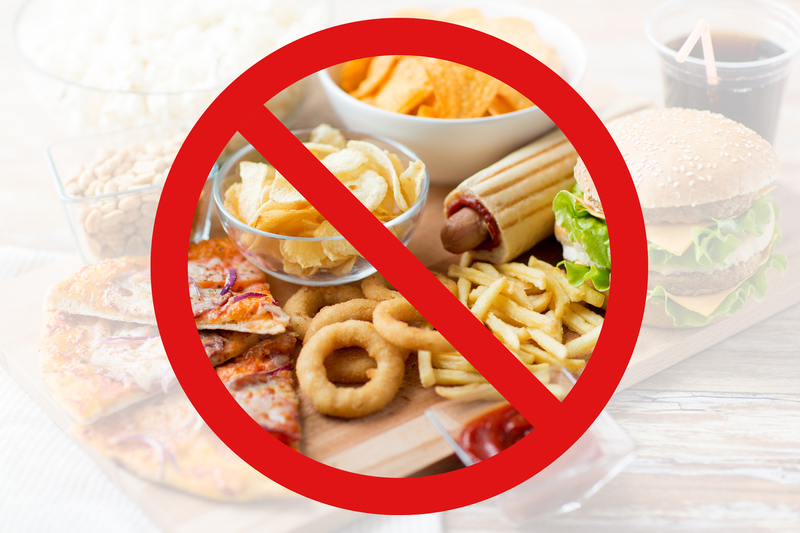 Some of these foods do have their place though such as on a ketogenic diet, but in general they really are junk foods that are best left out of the diet altogether especially if you're trying to lose weight. With the ketogenic diet carbs are restricted to almost zero so that's a different approach altogether. If you're just starting a vegetarian diet after eating meat all your life then you may need all the help you can get though. That’s why I've added some naughty’s to the meal plans later on in the form of roast dinners with vegetarian pies and gravy. If on the other hand you're just trying to give up meat and you're not bothered about losing weight, or, like many, you can eat as you please and not put a pound on, then you're good to eat as you please. For you guys and gals it will probably be far easier to go veggie as there's a ton of vegetarian food to eat out there if you aren't watching your weight. And for you weight watchers, who want to try a vegetarian diet, don't worry at all. 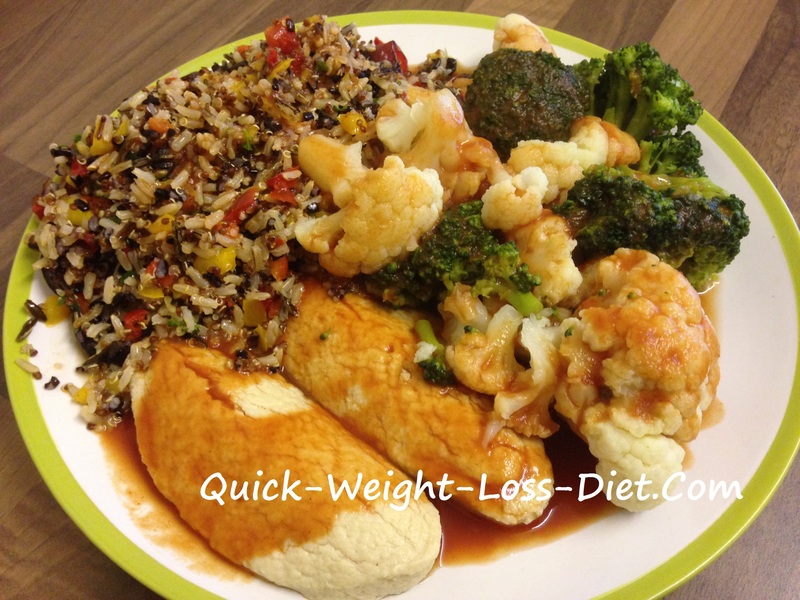 There’s still a lot of really nice low-fat vegetarian food available as you'll find out. If you really do want to eat a vegetarian diet then please make sure you read all labels of all foods you're about to eat as junk foods are often 'non-vegetarian' much of the time so beware. Having said that, junk food manufacturers have realized that the vegetarian community is growing fast and they're doing their utmost not to lose valuable customers! It's important to vary what you eat. Without going into an in-depth food analysis here, some nutrients are found in lesser amounts in certain foods than others. Contrary to popular belief though, most vegetarians usually do have enough protein and calcium in their diet. The source of this protein and calcium mainly tends to come from dairy foods. It's also important that you don't miss out on essential nutrients such as vitamin B12 for example which is found mainly in animal sources particularly meat and meat products. Vitamin B12 is another big question that comes up regarding the vegetarian diet. Vitamin B12 is an important vitamin that helps with red blood cell formation, growth, repair and general health. A long-standing deficiency of B12 generally leads to anaemia and other related problems. Vitamin B12 is only found naturally in animal products such as dairy and meat. The above list of foods are generally all eaten in varying amounts on a vegetarian diet and should provide you with enough of the vitamin b group of nutrients in adequate supply, including the much discussed vitamin b12 for general health and maintenance. Iron is an important nutrient for the human body. Low iron levels can result in low energy, dizziness, shortness of breath, headaches and anaemia. It's possible that many vegetarians could have lower iron in their blood than those who eat meat. This wouldn't be because 'vegetarianism' is lacking, rather it would likely be due to a 'poor vegetarian diet' that lacked a well-planned and thought out menu. Getting a good variety of healthy vegetarian foods as close to their natural state as possible (wholefoods) is essential to ensure you're getting what your body needs. Generally speaking, the above sources of iron are eaten in plentiful amounts on a healthy vegetarian diet which will ensure you're getting all the iron you need for daily maintenance. I know you Americans are more a peanut butter and jelly nation, but why not give Vegemite or Marmite a go if you can get hold of it? As the saying goes, don't knock it till you've tried it? Omega-3 fatty acids, primarily those found in oily fish, are said to help maintain a healthy heart and reduce the risk of heart disease when eaten as part of a healthy diet. Fish is obviously not included in a strict vegetarian diet or the menus further down for obvious reasons, so below is a suitable list for us veggies. Please take a look at this article by the Physicians committee about plant sources of omega-3 fatty acids being superior to other sources?! Some evidence suggests that vegetarian sources of omega-3 fatty acids may not have quite the same benefits for reducing the risk of heart disease as those found in oily fish. I'm not so sure, there's often a lot of conflicting views when it comes to dietary trials and tests and nothing is totally conclusive. And, let's face it, if you've read about heart disease towards the top of this page then you'll already know that the risk of heart disease is significantly reduced on a vegetarian diet anyway, so to be honest, in my opinion, that really doesn't matter too much anyway. A Vegetarian Diet during Pregnancy? If you're pregnant or breastfeeding and you're thinking about becoming a vegetarian then you obviously need to make sure you're getting enough vitamins and minerals for your child to develop properly and healthily during this time. To do this you need to make sure you eat a varied vegetarian diet that includes dairy products such as milk and cheese, along with eggs, bread, fortified cereals, a variety of beans, whole-grains like brown rice, dried fruit like figs, sultanas and un-sulphured apricots along with plenty of iron-rich greens like spinach, kale, chard, beet greens, watercress, broccoli and spring greens etc. This will ensure your body and your growing baby get all the essential nutrients they need during this time. If you are pregnant and you're concerned about being vegetarian during this wonderful time then take a look at the NHS website in the UK or the Cleveland Clinic website in the States. Looking at these at websites it's interesting to note that many of the foods they are actually advising are wholefoods that are considered by most to be 'healthy'? This means that a well-planned and balanced vegetarian diet is often the healthiest diet for human consumption despite it sometimes getting bad press and being accused of lacking in nutrients and protein? Let's face it, if it's good enough during pregnancy then it's good enough at any time in our lives, right? A Vegetarian Diet for Children? A vegetarian diet is possibly the perfect diet for your kids. Children brought up on fruits and vegetables, whole grains, legumes and pulses are said to be slimmer and healthier and can potentially live longer too!? Again, eating a varied vegetarian diet will provide your child with all they require for growth and development. They must be given a variety of foods though that include; milk, cheese, eggs, bread, fortified cereals, fortified spreads like Vegemite and Marmite, a variety of beans, whole-grains like brown rice, dried fruit like figs, sultanas and un-sulphured apricots, along with plenty of iron-rich greens like spinach, kale, chard, beet greens, watercress, broccoli and spring greens etc. This will make sure they get all the vital nutrients they need. My son and daughter were brought up on this type of vegetarian diet and they never lacked any energy at all when they were young. In fact, I would say they often had more energy than many other kids who ate meat. My son in particular, wore me out! 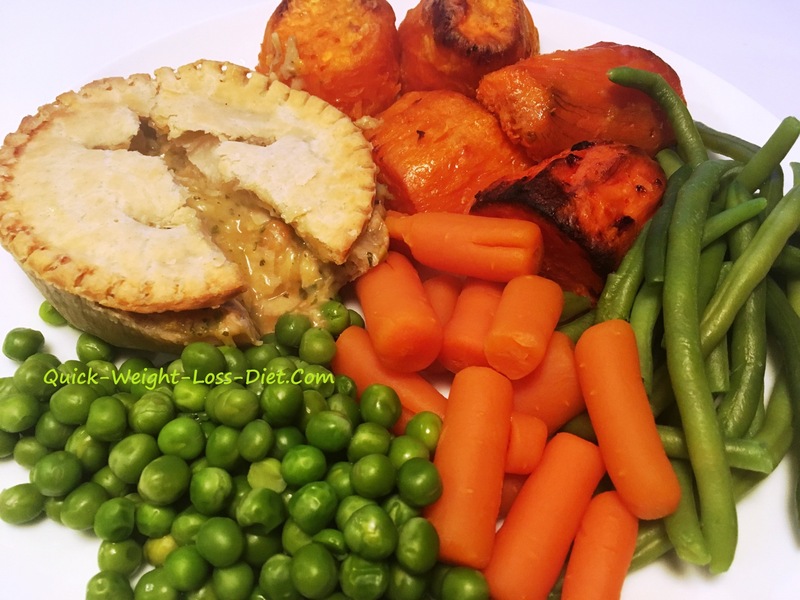 To help them to enjoy the diet and not feel they're missing out, you can also give your children vegetarian pies and similar options such as the Linda McCartney range which my kids loved and still do. There are also a lot of different vegetarian slices by Quorn which my kids had for school lunches etc. They loved them then and they love them now in their late teens. Quorn also do many other great tasting pre-prepared meals that my kids eat regularly like lasagnas and cottage pies. Take a look at the Quorn Store Locator in the US, or the Quorn website in the UK. My son and daughter now eat many of these types of foods from Quorn and Linda McCartney along with the vegetarian whole-foods they were brought up on. They are healthy, slim and energetic and love what they eat. My daughter does eat a little chicken and other stuff from time to time though, as she has a lot of friends and is influenced a little there. I don't push it, but do remind her of the pain and suffering that animals often go through and leave it at that. My son refuses to eat meat flat out and I support that of course as I do my daughter who eats a little meat from time to time. So, if you're a Mother or Father and you're concerned whether your child is getting or would be getting enough vital nutrients on a vegetarian diet, then I wouldn't worry provided you do make sure they eat a varied diet. If you're still not convinced then why not take a look at the Baby Centre in the UK or the British NHS website which discusses a vegetarian diet for kids as well as for pregnant Mothers? And, if you're in the States then this article from the vegetarian times is an interesting read along with this article too. The creditable sources found at the links above clearly confirm the viability of a vegetarian diet for children. And, if it's good enough for our kids, then it must be good enough for us too, right? Note: Generally speaking most people have no problem moving over to a meat-free diet as meat can easily be substituted with so many different alternatives nowadays. It is however, still important to monitor how you feel while making the transition to the vegetarian way of living. As I've said many times throughout this website, although we are all similar we often still react differently to various things. It can take time for your body to adjust fully to a vegetarian diet especially if you've been used to eating heavy red meat for years. Having said that, you may find it easy and even feel much better after only a short time of cutting out meat? The only way to find out is to try it for yourself and see how you feel. If you find yourself feeling a bit low at all then maybe you should consider eating some fish or sea food or keep eating chicken two or three times a week for a month or so before trying to give up meat permanently. 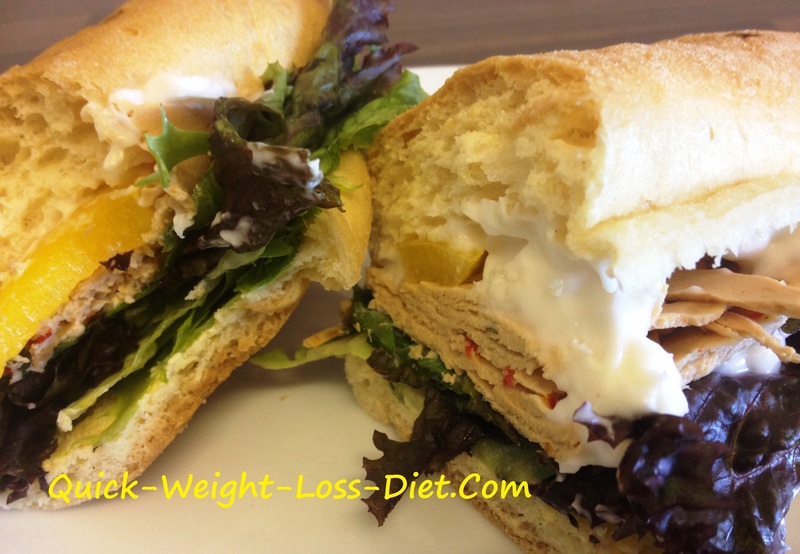 You can reduce your chicken and/or fish intake slowly over a period of time that suits YOU. This will act like a kind of 'transition diet' where you'll slowly phase meat out over time. This allows you to adjust physically, mentally and emotionally at a pace that is right for YOU and YOUR body. It will happen naturally if you truly want to give up eating meat, and, it can happen quickly or at a slower rate depending on you, your life, present diet, mental attitude etc. etc. You'll have to check your particular country's vegetarian mark to be certain, although they're probably similar I imagine. 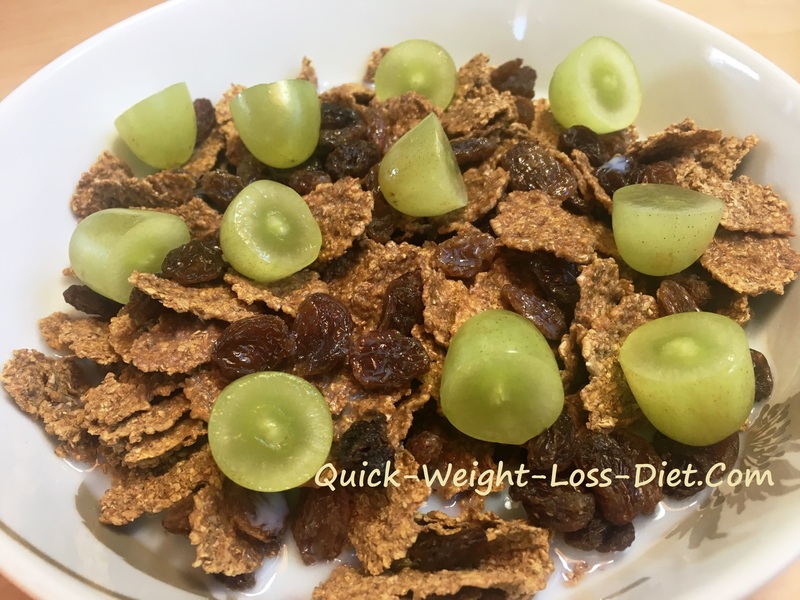 As I've said, you can obviously mix these daily menus up as you please so you can add whatever breakfast with whatever lunch or evening meal that you feel like. And yes, you will see pics here that are elsewhere on this site, but that's because it's all pretty healthy and generally good food. There's quite a lot of pics here mostly of food that my family ate soon after, so be sure to scroll down to see them all. I hope you get some ideas. 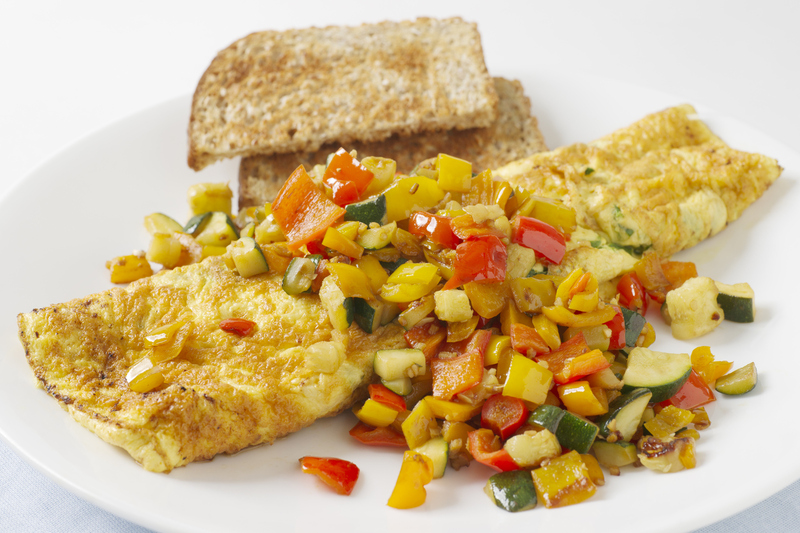 Keeping it pretty healthy, this omelette with vegetables and wholemeal toast makes a simple vegetarian meal. 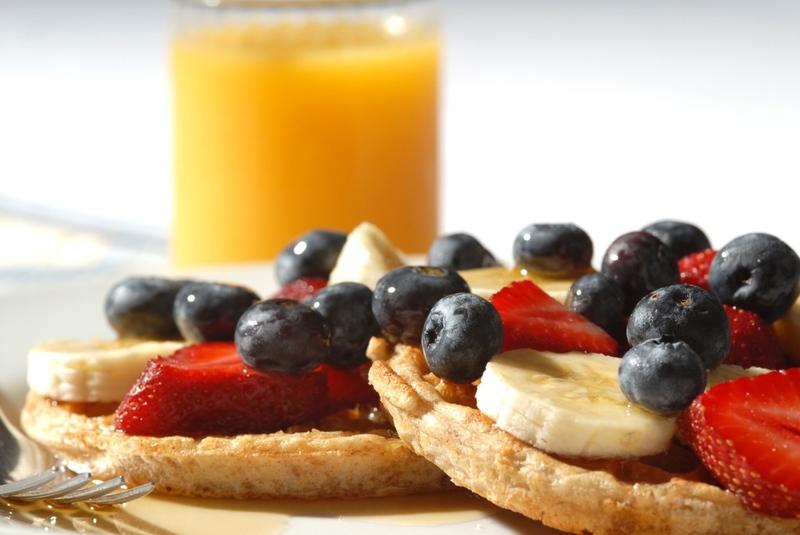 A bowl of cereal is a great start to the day as it provides a great slow-release energy food. 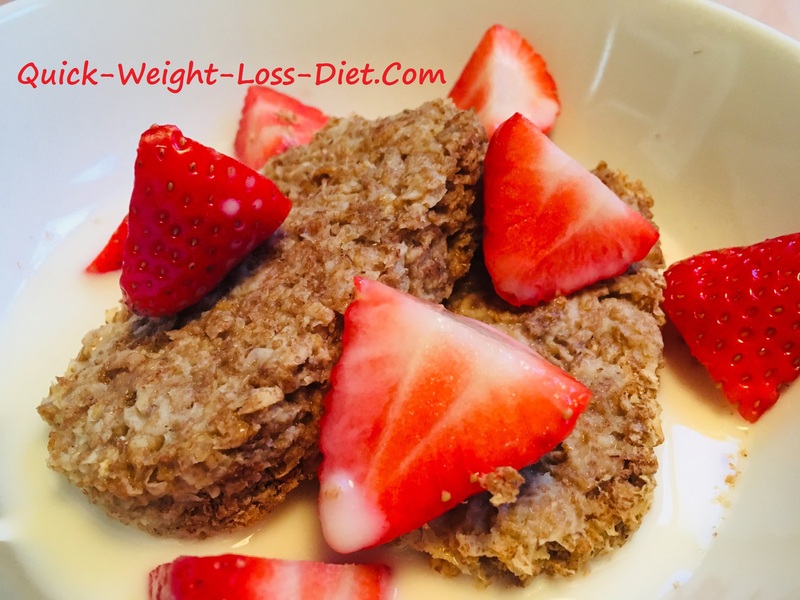 This Weetabix with added fresh strawberries provides carbohydrate for energy, vitamins, minerals and valuable fibre. Fully skimmed milk is by far the healthy choice over semi-skimmed and definitely full-fat too. Soya milk can also be used as can rice milk, both of which are available from health food stores and even some supermarkets too. These dairy-free alternatives provide valuable B vitamins including the controversial and much needed Vitamin B12. Why not have some toast too or have it in place of cereal? You can have almost any spread you want as most are vegetarian and suitable for us veggies. Do check the label first of course though, although most are obviously vegetarian like marmalade, honey or jam etc. 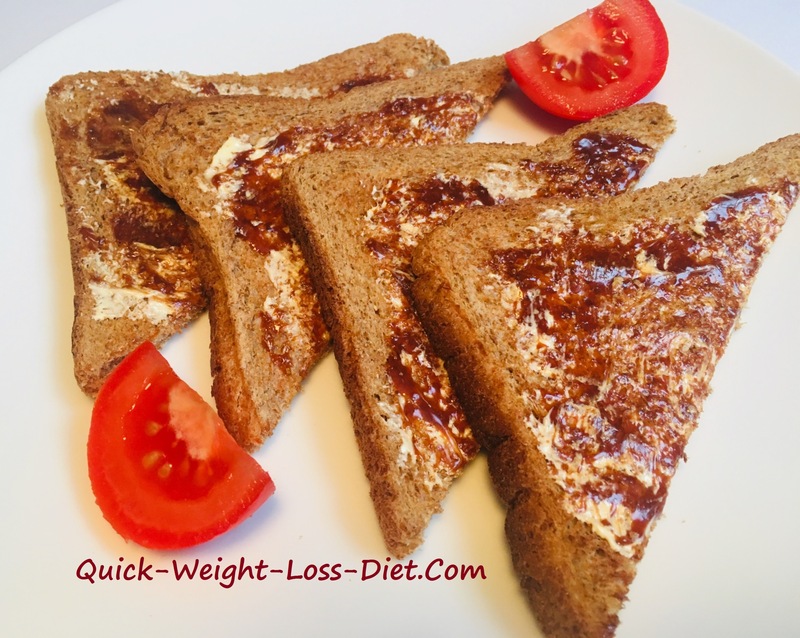 If you want to get some extra vitamin B12 then why not try some type of yeast spread like Marmite as seen below or Vegemite or some other type of yeast extract of which there are a few different types in health food stores and main stores too. It doesn't always have to be the healthiest type of food to be acceptable for the vegetarian diet. To be honest, if you're used to eating a meat-rich diet you may need all the help you can get to stay on track. In fact, this cooked breakfast looks unhealthier than it really is. It has wholewheat brown toast, tomatoes and beans with poached egg, so there's plenty of healthy fibre with vitamins and minerals. Poached eggs are easier to digest I believe as frying makes things harder. All things considered this is a pretty healthy and filling vegetarian breakfast. My son cooked and ate this one Saturday morning, fit for a King, great! 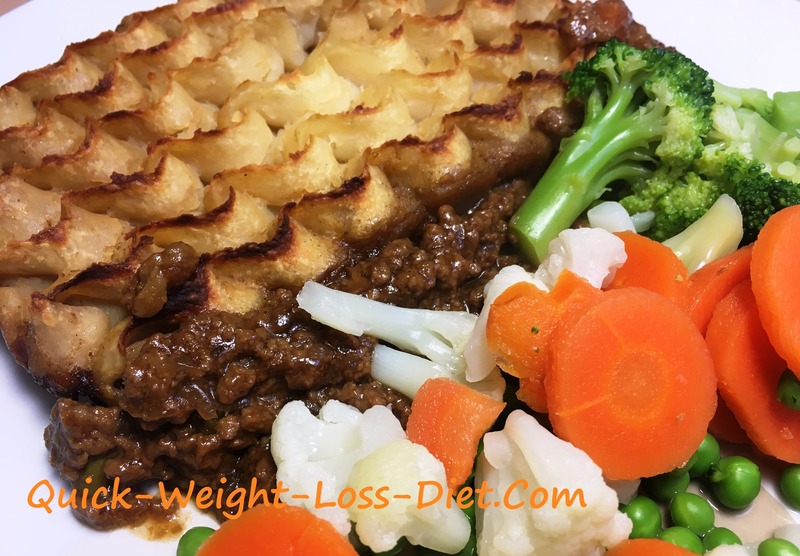 A Quorn vegetarian cottage pie with your choice of fresh or frozen vegetables makes a quick and easy vegetarian meal. 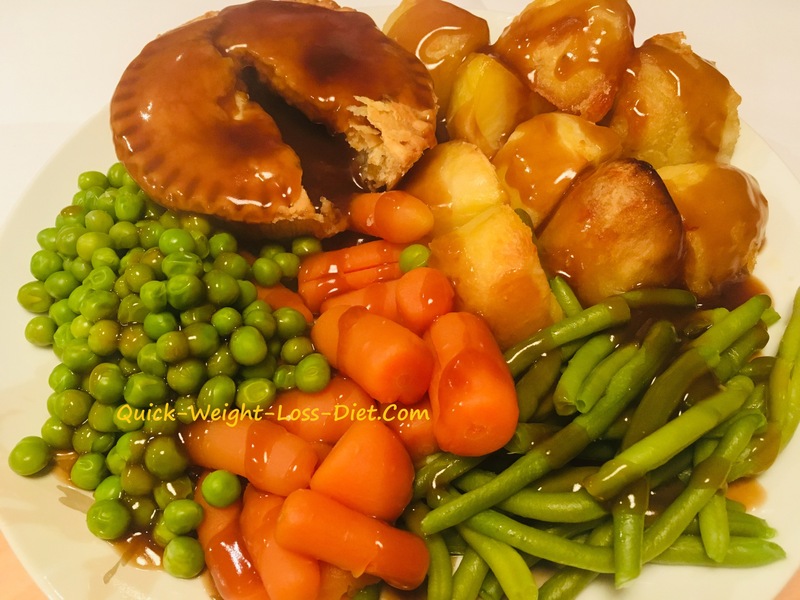 Cook in the microwave or bake in the oven and add a few boiled potatoes if you're feeling particularly hungry and why not add some vegetarian gravy too, ahhhh bisto mmmmm.....You have to be British and my age to get that one, sorry. 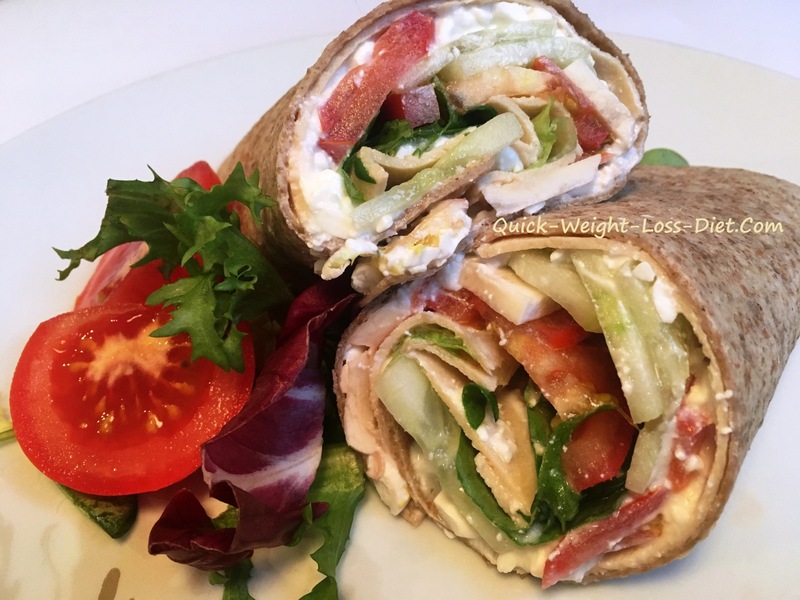 Veggie wholemeal wraps with Quorn vegetarian chicken slices, cottage cheese, raw mushrooms, tomatoes, cucumber and lettuce. This makes a great little veggie snack, not only for a vegetarian diet but for any healthy diet at all really? 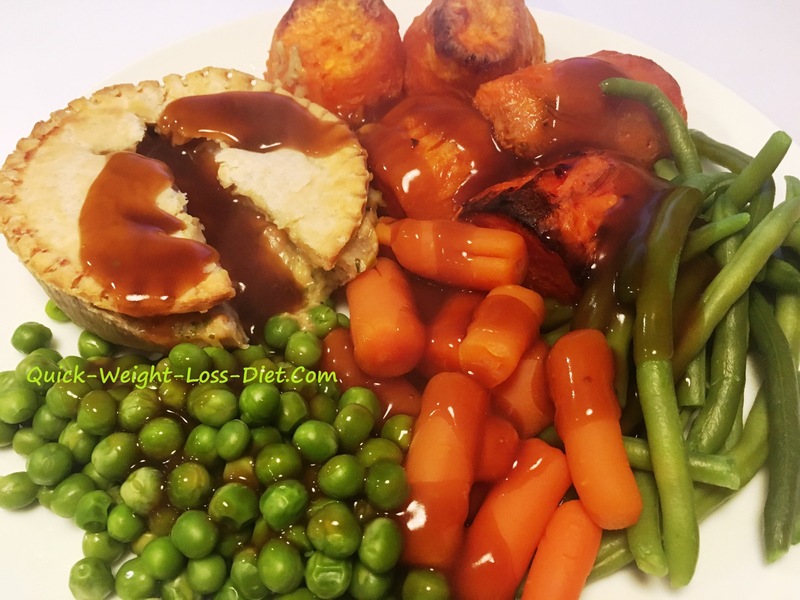 How about a roast dinner with a Linda McCartney chicken and leak pie, roast sweet potatoes, whole green beans, carrots and peas? Yes Please! How about another roast dinner, but this time with white roast potatoes and a beef and onion style Linda McCartney pie? Yes please! There's a lot more than people might think on a vegetarian diet? What can I say, my son loves black olives! He has them with almost everything?! There's two different veggie sausages here, a Quorn on the right and another type I got from the health store.